3D printing, also known as additive manufacturing, is a technology that has actually been around since the 1980s. Initially, 3D printers were massive high-end systems mainly reserved for big corporations with the financial resources. Fast forward to today, there are more options for 3D printing. With the rise in popularity of desktop 3D printers, prices have come down in the last couple of years. With 3D printers becoming more affordable, the technology is accessible to the masses. 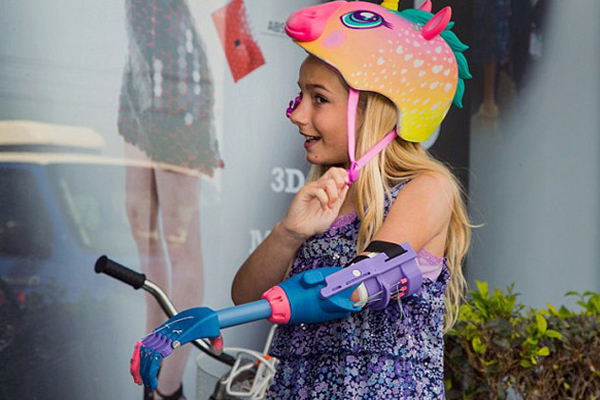 Small businesses—even consumers—can now take advantage of 3D printing. Affordable desktop 3D printers in the market today continue to make technological advancements by printing at faster speeds, making larger 3D prints, expanding the list of printable materials, and improving on print quality. Is it time to take advantage of 3D printing and implement the technology into your business? 3D printer builds physical parts by fusing layers of material together as though you are printing in 3D space. 3D printing has been proven especially valuable in manufacturing, particularly in the area of product design and development. 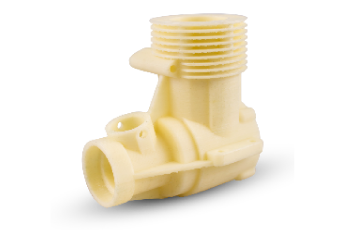 The ability to produce high quality 3D printed prototypes on demand is empowering for teams to substantially speed up time-to-market and create better products, giving companies that implement rapid prototyping a competitive edge. Produce prototypes at a faster rate, in hours, not days as there’s no need for molding or tooling. 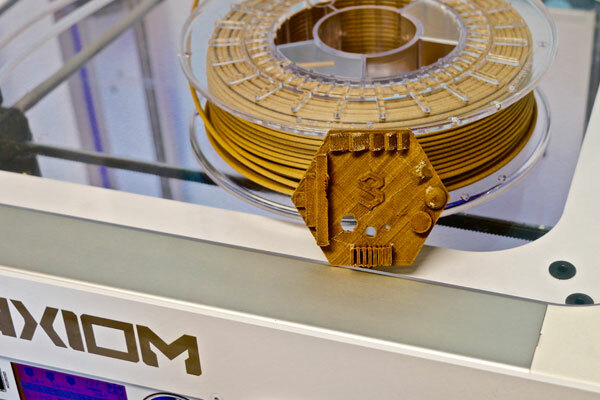 On demand production allows teams to create one-off prototypes or produce only the quantities they need, with printing materials being relatively inexpensive. Subtractive manufacturing (e.g. using a CNC milling machine) carves out an object from a solid block of material which produces unwanted material waste. On the other hand, additive manufacturing (3D printing) only uses materials it needs to create the prototype. Empower your staff to print their own prototypes without outsourcing to other companies which can be expensive and have long lead times. 3D printing is a fast and cost-effective way to bring design ideas to life. The technology fosters creativity by enabling teams to quickly and easily test out various design concepts into physical form in order to select the best option. Once a design is set, prototype iterations can be created to test out variations and finalize the design before it reaches final production. This process minimizes risks by ensuring there are no design problems before manufacturing, eliminating any potential issues down the road. 3D printing allows companies to rapidly prototype a design before committing to actual tooling. JetPack Aviation is a company that makes jet turbine powered backpacks capable of vertical takeoff and landing (VTOL). It uses 3D printing extensively as an affordable option for rapid prototyping as their design process involves multiple iterations of design, testing, and redesign to ensure the quality of their products. 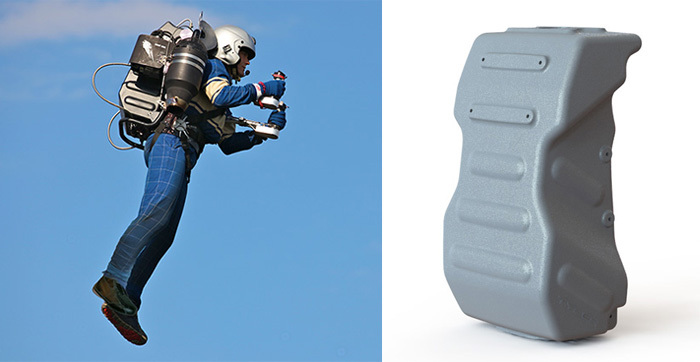 3D printed jetpack (photo on the right) accelerates the product design cycle. What Do I Need to Get Started on 3D Printing? 3D printers are similar to inkjet or laser printers in that you will need a computer software to create a design file before you can print your own designs. There are various affordable CAD software packages on the market (e.g. Rhino, SpaceClaim, SOLIDWORKS) that you can use to create your product design. The CAD file is converted to a watertight STL file (which essentially just means an enclosed solid with no holes) for 3D printing. If you are already using these popular CAD software packages, you just need to get a 3D printer and you’ll be all set to get started on rapid prototyping. This article covers a number of benefits to implementing 3D printing into your business, particularly in product design and development. If you have further questions on how 3D printing can help your business, please contact our technical specialist and they would be happy to assist you.